Lord William FitzRoy, KCB was a Napoleonic War British Naval officer and politician, retiring as Admiral shortly before his death in 1857. He was the third son of Augustus FitzRoy, Duke of Grafton and former Prime Minister of Great Britain. 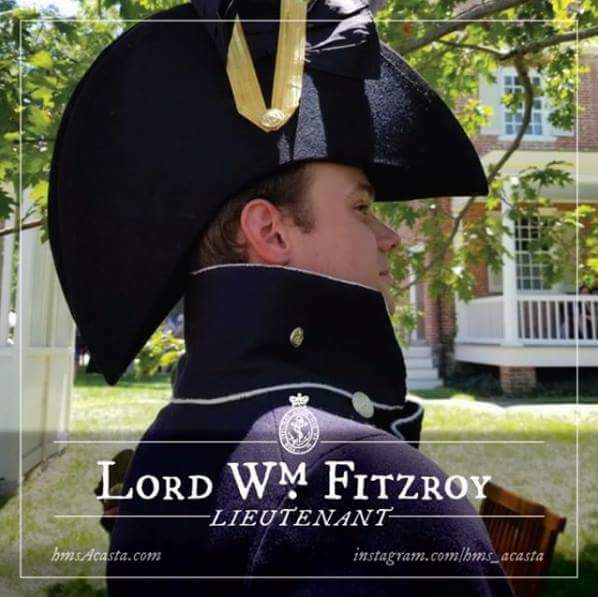 Serving in or near almost every major naval action of the Napoleonic War(s), FitzRoy’s story is an exciting and interesting tale of adventure, ambition, and promotion. Today, FitzRoy’s legacy is being carried on and his story told through the first person interpretative acts of Bryan Andrews and the recreated crew of the HMS Acasta reenacting group. Andrews has been a member of the reenacting community for almost his entire life, beginning reenacting at a very young age. He is involved in multiple time periods and can normally be found in a number of uniforms, ranging from the American Revolutionary War to WWII, and just about everywhere in between. He is a volunteer at the Indiana Military Museum and George Rogers Clark National Historical Park in Vincennes, Indiana and can be found giving interpretative talks both there, and at a number of other historic sites around the Midwest. Andrews has been the Drum Sgt. For Kellar’s Coy Illinois Regt of Virginia for almost 10 years, has done WWII US Medical Corps and British Commando reenacting, WWI British Cavalry reenacting, and has a variety of other impressions as well. Recently, Andrews started one of the first known Continental Navy reenacting units in country and worked on restoring and rebuilding a boat in the period style, as well as making a number of other naval related items and clothing. An article covering these activities was featured in the June 2017 issue of Early American Life. In “real life” however, Andrews is in college. He is studying History at Indiana University Purdue University Indianapolis (IUPUI) and has already graduated with an Associate’s degree from Vincennes University to that effect. He plans on continuing his education and going on to Law School. 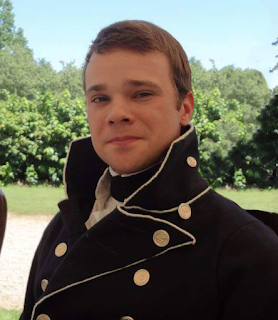 Andrews has done some sailing and has also dabbled in a few other hobbies as well, but his main interest is in historical reenacting and living history interpretation, which he is involved in just about every weekend, somewhere around the country.